This easy healthy recipe for Rabbit Fish Muffins contains affiliate links. When I was at She Blogs Conference in Toronto last week, I stayed at the King Edward hotel. During the conference, one of the speakers baked a fish cupcake. It was stunning! Back home, I was tempted to try this new recipe as I was sure it will be a big hit with my family! Unfortunately, I didn’t have all the ingredients the original fish cupcake recipe called for but I had some of them! So I tweaked the recipe a bit. I love tweaking recipes to make them my own! Take a look at how easy is it to make this Rabbit Fish Muffin recipe. It’s such a fun new way to enjoy fish, your whole family will want to try it! 8 – Sole fish or any other fish. I used frozen sole fish that I buy from Costco! I had 1 package that I didn’t know how to use! I do not like cooking frozen fish because it delivers so much water after that it does not take good. If you don’t have sole, salmon works really well too! 2 tablespoon of goat cheese. It adds so much flavor! Line muffin tin with muffin liners, if desired. Mix all the ingredients in the blender or Kitchenaid mixer. Scoop them in a muffin tin, evenly distributing the mixture among all the cups. Bake for 20 minutes at 180 F.
That’s it! It really doesn’t get much easier than that! At first , my 12-year-old son, who is into pasta and sushi only, did not want to taste the Rabbit Fish Muffins! I had to give him that mom look that made him change his mind! He took one bite and to my delight, he took another one! We paired our Rabbit Fish Muffins with a delicious carrot soup, the perfect compliment to the meal! These muffins are also great for those upcoming holiday dinner parties and gatherings! Just double or even triple the recipe to make enough for a large group of people. Have you ever tried fish muffins? What is your favorite type of fish to use in recipes? I’ve never heard of or tried a fish muffin. Interesting idea, some kids might really enjoy it. 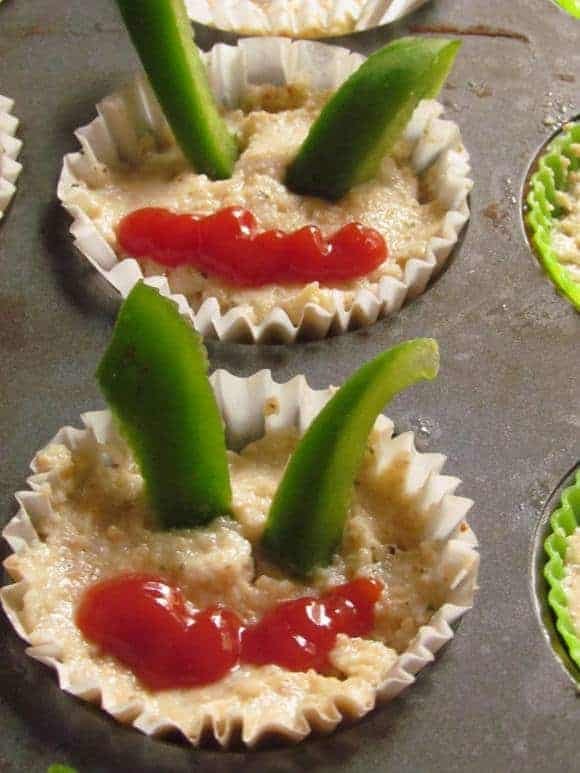 Oh my gosh, these are so clever and a fun food for the kids. I have been loving all sorts of fish lately so I will have to try these!